B1NARYTUXED0 is Taylor Meyers. Having been a life long video game player I decided to seek a career in developing them. I attended DeVry University and shortly got a job in the industry work on motion simulations at Pulseworks LLC. B1NARYTUXED0 is my personal site, where I share progress on my projects and share my thoughts on games and design. I've had a passion for video games my entire life, but more recently my interests have turned to tabletop role-playing games. Most of my future content will focus on those, but video game projects are always on the horizon. 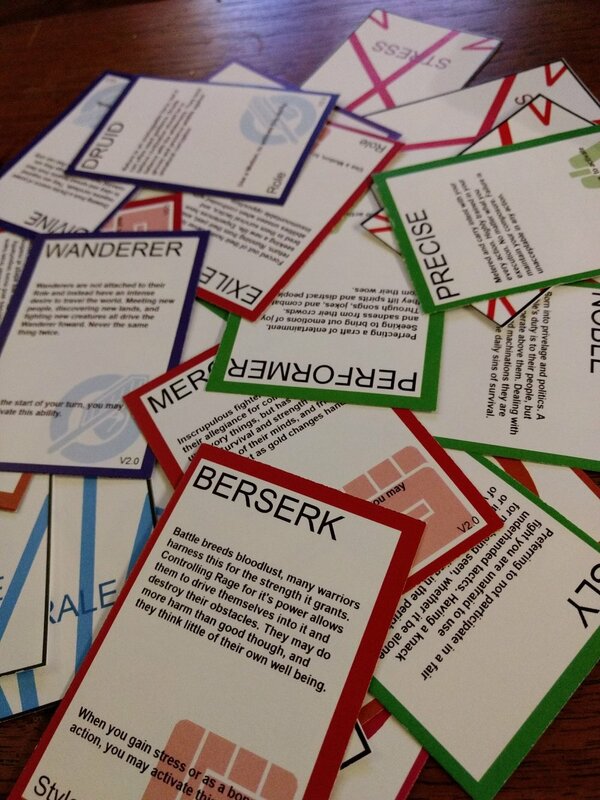 Cards & Conjuring is a role-playing system focused on inspiring communal story-telling for quick improvised adventures. Working on this system I hope to create a game that can teach new players to role-play and inspire veteran players to create interesting characters. All while having any group experience a full adventure in a single night. This is a project I've been working on the for the past few years. I've ran play-tests for two versions of this game and I've now almost entirely started over! The play-tests I've ran have lead me to a large overhaul, but I had been moving that way even before the play-tests. In a recurring series called "Playing the Role" I hope to share my ideas on improving role-playing experiences with interesting ways to view the past-time. With epiphanies for Game Master and Players I hope to improve my skills and confront my faults. My work on Cards & Conjuring and role-playing with my friends often leads me to interesting concepts or modifications to systems. I'll be sure to write up these thoughts here instead of just leaving this page up like this forever!